As an Economic Hit Man (EHM) in the 1970s I spent a great deal of time in Panama. I hate to admit it, but I helped forge the system that has now been exposed in the Panama Papers. It is a system of legalized crimes. How else can we describe it? This EHM system has created a global economy where 62 individuals have as much wealth as half the world’s population, big corporations enjoy the airports and highways, fire and police departments, school systems, and other infrastructure of countries like the United States without paying for them and where governments are controlled by a handful of extremely wealthy individuals. The hard-earned tax dollars of the average US citizen finances the infrastructure and social services that benefit the very rich and their corporations while they shelter their incomes in tax havens. Although the tax sheltering schemes disclosed in the Panama Papers were developed in the 1970s – during my time as an EHM in that country – the foundations of the system go back more than a century. In 1903 President Teddy Roosevelt fomented a rebellion to wrest Panama from Colombia so that the US could build the Panama Canal. JP Morgan and Company was appointed as the new country’s official fiscal agent. Soon after that, Panama passed laws that enabled John D Rockefeller’s Standard Oil Company to avoid US taxes and regulations by registering its ships in Panama. It was just the beginning. . . In 1981 Torrijos died when his private plane crashed in what many believe was a CIA orchestrated assassination. Since then, one Panamanian administration after another has been a puppet of US business interests, and the country has continually increased its activities as a tax shelter for the super rich. In the New Confessions of an Economic Hit Man, I discuss how the EHM system has spread from developing countries, like Panama, to the United States, Europe, and the rest of the world during the past 12 years and how it has created a failed global economic system. Today two and a half billion people live below the poverty level, on less than $2 a day, seven out of 10 people live in countries where inequality is greater than it was 30 years ago, less than 5% of the world’s population lives in the United States but consumes about 25% of the world’s resources, and less than 1% of those 5% dictate U.S. policies, as well as those of most other countries. There is no way to describe this system other than as a total failure. Some economists refer to it as a Death Economy because it is based on debt, fear, militarization, and the extraction of the resources that support it – on consuming itself into extinction. The revelations of the Panama Papers are one more indictment of the system. It is very possible that they are the proverbial straw that will break the camel’s back. These papers connect the dots. In this election year, we must understand that although the next U.S. president will be symbolic, he or she will have very limited powers. The powers rest in the big corporations and the people who control them. When billionaires are able to pass laws such as the US-Panama Trade Promotion Agreement of 2012, NAFTA, CAFTA, and potentially TPP and TTIP that give corporations more power than sovereign nations, we know that we the people must demand change. We must create a Life Economy that is based on cleaning up pollution, regenerating devastated economies, developing new technologies that recycle and do not ravage the earth, and creating systems that alleviate desperation, poverty, hunger, and the causes of violence and terrorism. This system must include fair taxation. Those who benefit from the infrastructure must help pay for it. Above all, the Panama Papers should encourage each and every one of us to understand that we have a responsibility to ourselves and future generations to reverse this terribly destructive course we’ve permitted our leaders to take. The New Confessions of an Economic Hit Man provides strategies and lists that every individual can employ to transform the Death Economy into a Life Economy. The short version is that we can all use social media to force corporations to transform the Death Economy into a Life Economy. Recently one of the least populated states in the U.S. passed a law forcing corporations to label GMOs. As a result, some of the biggest food producers in the country – Kellogg, General Mills, Campbell Soup, Mars, and ConAgri – committed to the national labeling of GMOs. A small group of activists and bloggers in Vermont, a state with less than 0.2% of U.S. population, convinced these food giants to change their policies. 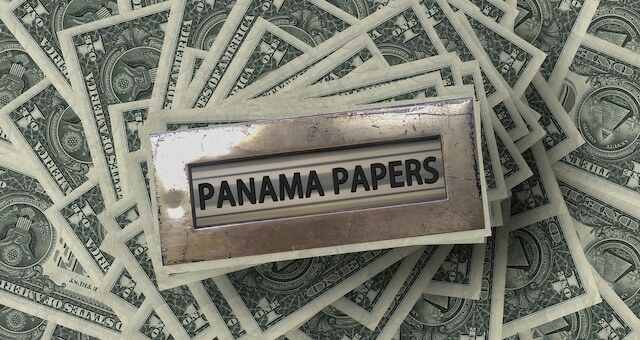 There are those who will want to focus the Panama Papers findings on “arch enemies” like Putin and Islamic Extremists – and on the excesses of celebrities and overpaid, under taxed athletes. Let us not be distracted. Let us instead understand that the real villains are the super rich who finance political campaigns and promise lucrative consulting jobs to politicians if they lose or decide not to run for office in the next election – and who take the money they make off the rest of us to tax havens like Panama. Let the Panama Papers serve as a warning to all of us not to turn a blind eye on legalized crimes. Let the people of Vermont encourage all of us to take action.